Locals love San Jose for its sunny skies and warm weather year round. 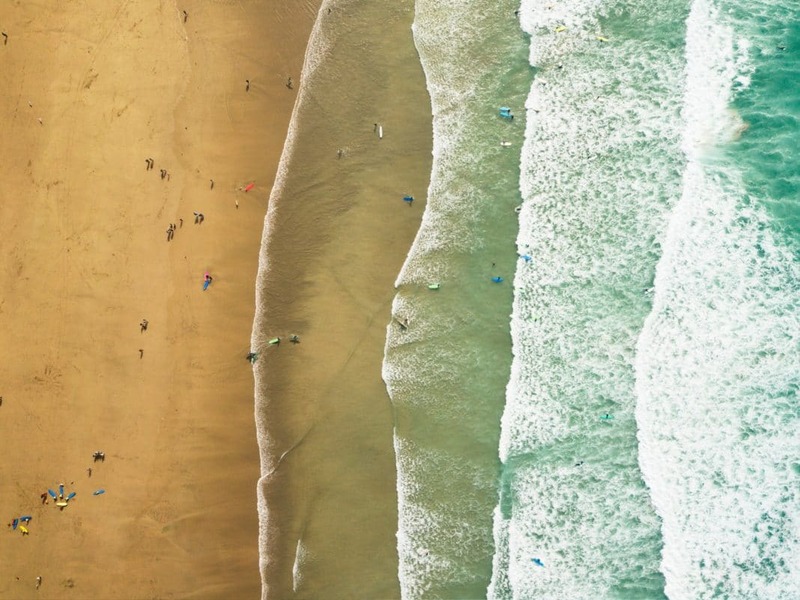 While it's a great city to live in, it also makes for an ideal vacation spot for folks looking to escape the winter blues. Luckily there is no shortage of fun, touristy things to do in San Jose! San Jose, California is the epitome of the relaxed, low-key, easy and breezy lifestyle that incapsulates the West Coast. If you happen to be moving to San Jose, it's probably for a very specific reason related to how you've just been hired by one of the hottest tech companies in California or how you're in the midst of developing the next top-rated app on iTunes. Because San Jose is in the heart of the Silicon Valley, it has become somewhat of a hub for techies, entrepreneurs, startups, and founders looking to get their feet off the ground. Regardless of San Jose's reputation of being the "Capital of Silicon Valley" and for being a hotspot for tech-heads and millennials, there is still no shortage of fun and touristy things to do in San Jose. When you arrive in San Jose, you'll find yourself questioning whether or not the people around you actually live there or are just passing through too. That may be because one of the most popular questions you're bound to be asked if whether or not you bought your home. Yes, this question seems invasive and overly personal – but you'll come to find it's a regular conversation starter the residents of San Jose. This may have something to do with the fact that the cost of living in San Jose, California is so high, which is why so many people in its tech and startup industries tend to live in nearby suburbs, like Campbell, or in even further locations including Boulder Creek, Menlo Park, or even as far as San Francisco. That being said: a trip to San Jose may not be your cheapest vacay. But the long list of fun and exciting things to do in San Jose will make it worthwhile. Why else would more than 1 million people live there, making San Jose the third-largest city in California? Whether you're there for a week or just passing through, take advantage of all the fun and touristy things there are to do in San Jose, California! 1. Step into the boutiques and shops at Santana Row! Are you looking for fun things to do in San Jose that will make you feel like you're one of the locals? If yes, Santana Row should be your first stop. To put it simply, this is the place Silicon Valley professionals, successful startup founders, and Steve Jobs wannabes go to spend all their cash. At Santana Row you'll find a chic, hip shopping district that's just a short drive west of the downtown San Jose district. You'll be able to find there, from the latest version of Beats headphones to handmade wedding dresses to sneakers outfitted specifically for travel. It's the Rodeo Drive of San Jose, so naturally the shops and boutiques will be jam-packed with designer names like Gucci, Ralph Lauren, and Kate Spade, making this a fun outing but definitely one of the pricier things to do in San Jose. Sprinkled throughout the stores you'll find eateries ranging from casual dining to gourmet meals. Don't worry, you'll be able to find your usual Peets Coffee & Tea and a good ol' fashioned Starbucks. But when in San Jose, consider trying something you've never had before! For something sweet, we suggest treating yourself to Smitten Ice Cream. The Bay Area-based shop uses fresh ingredients to churn fresh ice cream made just for you – in about 90 seconds. But remember, you're in the Silicon Valley, A.K.A tech-head heaven, A.K.A only the finest and most modern machinery will be used here! Smitten Ice Scream uses their patented liquid nitrogen-enabled Brrr(TM) machines to make perfectly churned, ultra creamy ice cream on the spot. Apparently this is the future of ice cream, and witnessing this leap forward in mankind's existence is just one of the few things to do in San Jose. Even the taco joints in Santana Row are fancier than the ones at home. With 120 types of tequila on top and a menu that extends to dishes like tuna tostadas, albondigas, kale salad with quinoa and seasonal fruit, and crispy, hot, cinnamony churros, Tacolicious in Santana Row makes for a good, affordable meal during your shopping spree. Isn't it nice to learn there are things to do in San Jose that won't completely break the bank? 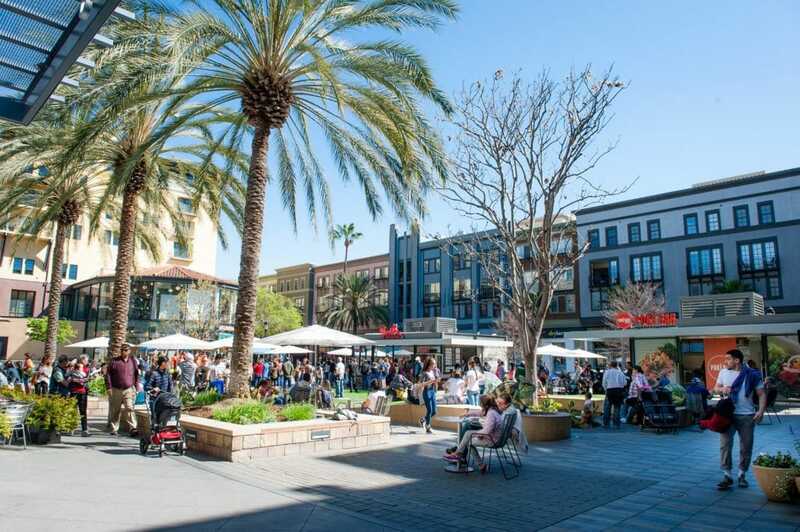 All in all, Santana Row is a great spot for sipping coffee, doing some shopping, and simply strolling along with your little ones, making it something to add to your list of things to do in San Jose that is fun for the whole family! It's also a great way to spend an evening or go on a date. Who knows, you might even stumble across a random fashion show or run into Jeff Bezos doing some last minute holiday shopping while you're there! A trip to a museum entirely dedicated to tech-heads and innovators kind of seems like a must when visiting the Capital of Silicon Valley, don't you think? Twenty years ago the Tech Museum of Innovation opened and its doors and has been serving up unique, tech-based exhibits every since. The museums exhibits have ranged from Leonardo da Vinci to Star Trek to MythBusters. No matter the topic being displayed, exhibits at the Tech Museum offer hands-on opportunities for guests to explore how technological innovation works and the constants impacts technological innovations are having on everyday life. 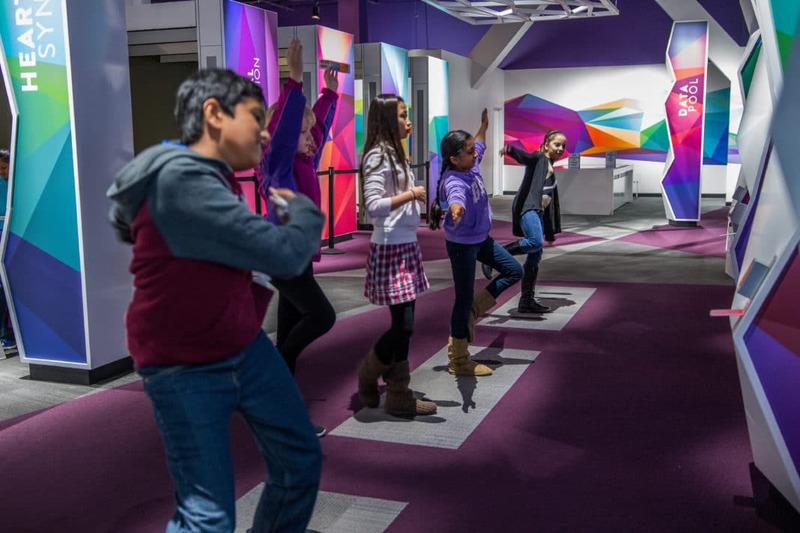 The Tech Museum offers a variety of immersive, full-body experiences that are designed to help guests "explore, experiment, create and challenge" themselves to do more with technology. One of the most popular full-body experiences as the Tech Museum is Birdly. Birdly is a flying simulator that allows guests to experience what it's like to "fly like a bird through the Manhattan skyline" and "soar above the clouds." Users wear a VR headset and experience 4D features, like the ability to flap your wings to fly faster or have wind blown on your face and your steadily soar through the sky. It's the "closest thing to bird flight possible modern technology" today. Birdly is just one of the many examples why a visit to the Tech Museum is one of the most fascinating, informative, and eye-opening things to do in San Jose, California. A combo ticket, including IMAX and admission to the museum, is $31. In conclusion, the Tech Museum is an activity that can be enjoyed by all ages and is one of our top rated things to do in San Jose. Keep up with the happenings going on at the Tech Museum to make sure you don't miss an incredible experience to get a first-hand look at the latest technology innovations around. If you're looking for something a little off the beaten path while checking off items on your list of things to do in San Jose, consider taking a visit to the Winchester Mystery House. 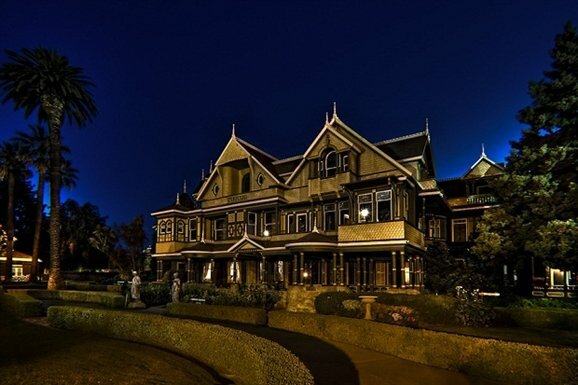 Located just across the street from Santana Row, the Winchester Mystery House is a piece of San Jose history and a true tourist trap all in one! Legend has it that Sarah Lockwood Pardee Winchester, the incredibly superstitious widow to William Wert Winchester and the heiress to the Winchester firearm fortune, moved from New Haven, Connecticut to San Jose, California following the death of her husband and infant daughter. She had this house built in the late 19th and early 20th centuries and continued adding on to it until her death on September 5, 1922. There's a lot we still don't know about the Winchester Mystery House, but here are some things that we do know: the 24,000 square foot home is made up of 160 rooms, 10,000 windows, 2,000 doors, 47 staircases and fireplaces, 17 chimneys, 13 bathrooms, 6 kitchens, and would now be worth a whopping $71 million today. The estate is full of – somewhat creepy – Victorian era designs and antiques, not to mention the countless staircases that lead to nowhere, secret passageways, a séance room, and the popular Hall of Fires, a room that is equipped with four fireplaces and three hot air registers. The house is one of San Jose's oldest homes, and many locals consider it one of the most necessary things to do in San Jose. Some will go as far to tell you that you truly haven't experience San Jose until you make a visit to the Winchester Mystery House. The facility offers three different tours: a candlelit tough, an "engaging tour" where the tour guide ask for volunteers to partake in hands-on activities throughout the house, and a "fun tour" where the tour guide makes jokes and a heavy use of sarcasm while walking through the estate. Similarly to the Tech Museum, this is not one of the cheapest things to do in San Jose, but it certainly makes for a spooky and interesting one-of-a-kind outing during your visit there. Half of the park is shaded and half of it isn't, particularly along the trails that reach higher elevations. Therefore visitors will want to be sure to wear appropriate clothing during their trip to Alum Rock Park, including hats, trail shoes, and of course, sunscreen. Water fountains in the park are spare, so be sure to bring your own water bottle, as well. Another incredible thing about Alum Rock Park that makes it one of the most scenic and pleasant things to do in San Jose is that it's chock-full of various species of plants and a variety of wild animals. Some of the animals you may come across during your time there include mountain lions, deers, and bobcats. Alum Rock Park is also a great place to go for tourists who love hiking and adventuring in California but don't want to travel too far from San Jose. If you are willing to travel a little bit for some additional scenic views, however, consider taking a trip to the Sierra Vista Open Space Reserve. This destination is located in the Eastern foothills of Santa Clara County and offers breathtaking, panoramic views of the Valley. A visit to Sierra Vista Open Space reserve also offers tourists the chance to stroll through diverse California landscapes, including oak woodlands and rolling grasslands. In Alum Rock Park itself, however, you'll find the Penitencia Creek, which is home to a large number of protected wildlife species. Some of these animal include the California red-legged frog, the California tiger salamander, the American badge, the Western burrowing owl, the golden eagle and the gray fox. A visit to Alum Rock Park is one of the best things to do in San Jose for tourists interested in taking in authentic California views and for those who want a chance to see species that can't be found in their hometowns. It's important to note that hikers are welcome on all trails, however equestrian and cyclists are required to use designated trails only. The park is open seven days a week from 8 a.m. up until a half hour after sunset. Take a break from the hustle and bustle of the city and hop over to one of the best things to do in San Jose when looking to get in touch with nature. 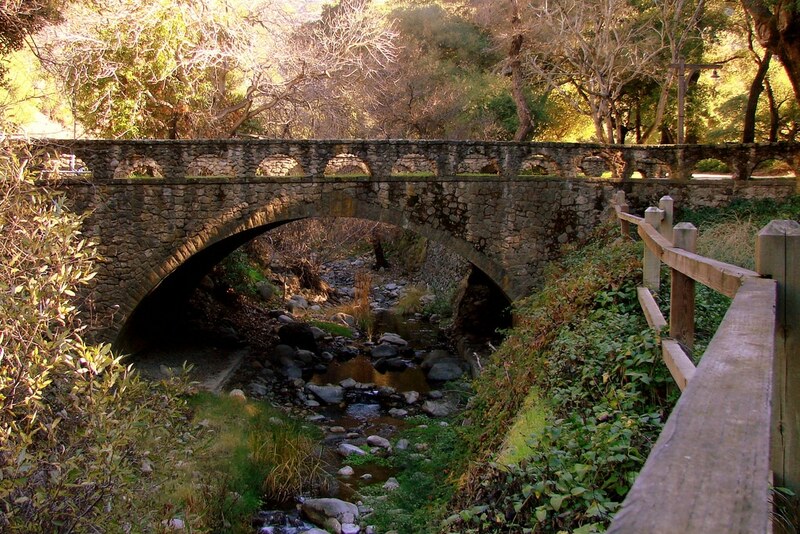 You'll find that a day at Alum Rock Park is a day well spent. Honestly, who doesn't love hitting up the local flea market and digging for trinkets that you will be able to find literally no where else? In fact, we think going to a flea market it a rite of passage for tourists visiting a new city. Luckily for you, the San Jose Flea Market happens to be one of the most fun and touristy things to do in San Jose. The market was founded in 1950 and has been catering handmade goods, fresh foods, and one-of-a-kind pieces of art to the San Jose community ever since. There is alway plenty to see, do, and buy at this market, and because it's been around for so long, many of the people selling items there are veteran vendors. Therefore if this isn't your first time to the flea market, you'll probably find some of the stands look more familiar than others! The San Jose Flea Market always has live music on the weekends, which gives it a welcoming outdoor party vibe. Plus, it's an affordable activity to do during your stay in the Capital of Silicon Valley. It's affordability and unique offerings are two more reasons why we consider this to be one of the best things to do in San Jose, California! Every member of your family is bound to find something they'll want to bring home from the San Jose Flea Market. Offerings from vendors tend to include antique comic books, fashionable vintages clothing, handmade jewelry, old books and records, and more. Before you leave, though, you have to take a ride on the vintage carousel or the mini-Ferris wheel that the flea market provides. In fact, we'd go as far to say that taking part in one (or both) of these activities are a necessity during your stop at one of the most fun things to do in San Jose! Be forewarned: the San Jose Flea Market is gigantic, therefore you'll likely find yourself wandering through the variety of unique stalls for hours before making your way to the finish line. Luckily the idiom "not all who wander are lost" is very applicable to the San Jose Flea Market, because honestly, you'll probably find your best purchases when you least expect it! 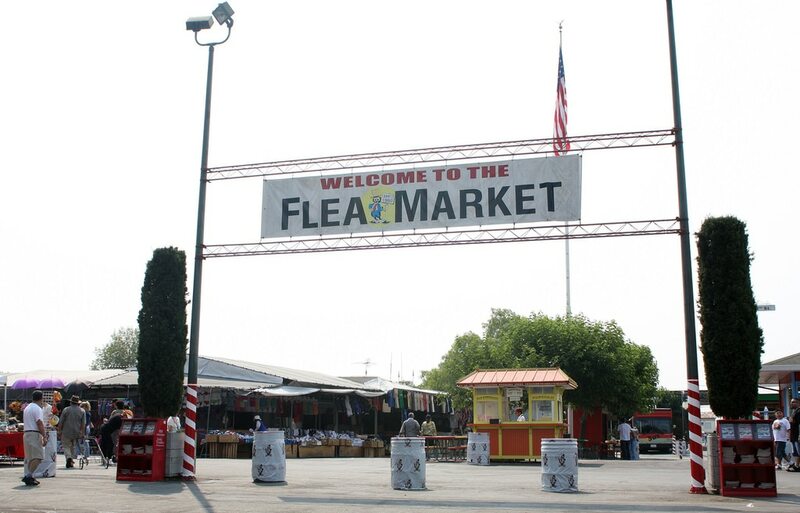 We can't think of any other flea market – or any other shopping area near San Jose, really – where you can buy everything you need from furnishings for your house a brand new head-to-toe outfit to vehicle repairs to dry goods to delicious cocktails to arcade games - the list goes on! Parking is reasonably priced at around $10, though the walk from the back parking lot to the flea market can feel like a long journey, especially when you're heading back to your car at the end of the day with your arms full of everything you just bought. If that's the case, be sure to snag a cart on the way out. Oh, did we mention that admission is always free? These are just a few more reasons why we think the San Jose Flea Market is one of the best things to do in San Jose for tourists looking to get a local's feel for the city... But don't want to spend too much along the way. As you can see, San Jose is full of fun adventures and activities to experience during your stay in the Capital of the Silicon Valley! Despite its pricey nature, San Jose is full of one-of-a-kind experiences that you'll remember for years to come. The city is a perfect blend of traditional California livin' and the hustle and bustle of modern day, metropolitan life. A stop by San Jose is a perfect destination to drop off at for a few days during your road trip down Route 1. Or maybe you're in the tech world yourself and are looking for a few things to do in San Jose during a business trip there, or maybe you're the one with the next best app and are considering moving there! Whatever your case may be, these five things to do in San Jose and fun and fulfilling activities to fill your days with. 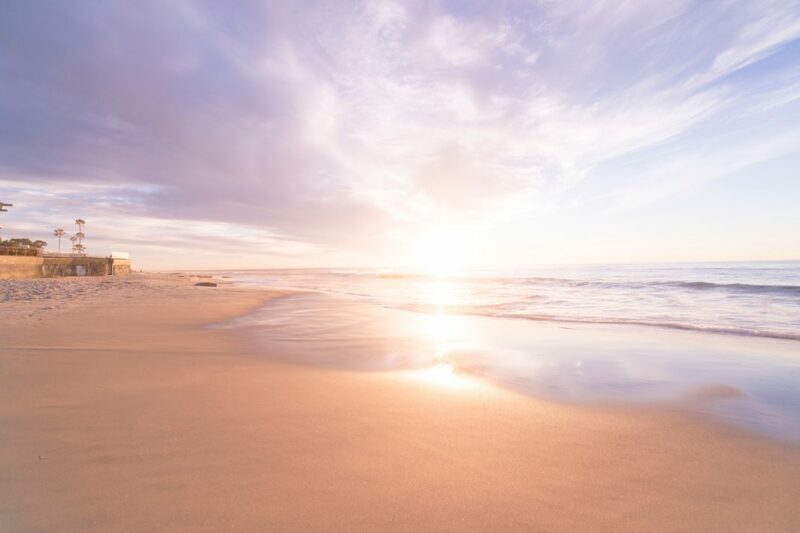 For a perfect day in San Jose, California, start slow by spending a few hours at the beach and ease your way into the new-age feel of this startup-obsessed town. Heck, have yourself your own bit of fun and convince all of the tech-heads you run into that you're a distant cousin of Elon Musk or Steve Jobs. Honestly, anything goes in this innovation hub. This uniquely curated list of things to do in San Jose is proof of that. Did we miss a staple San Jose activity that you insist we add to this list? If so, let us know! We're always searching for fun things to do in faraway towns. Let us know what your favorite things to do in San Jose are and we just might try them out on our next visit there!